In order to achieve true mastery of H2 Math, it’s imperative that you not only acquire a firm grasp of every single concept that falls within the boundaries of the syllabus, but also demonstrate a very high level of performance ability. To help you reach your goals, we’ve developed a uniquely powerful teaching methodology that will give you the perfect combination of theoretical understanding and practical skills. Our lessons are designed to steadily bring you to a thorough and complete understanding of H2 Math through progressive stages, in the process equipping you with the tools to apply what you've learned to solve any exam question with great speed and accuracy. Through our use of Instructional Scaffolding and Achevas Outlines, we are able to support the seamless transition from your current level of understanding to the next level. Our 24-hour academic support (Achevas MasterClass, Achevas TV) and regular revision sessions help you internalize and retain everything you've learned. We start each new topic by establishing a strong foundation comprising core concepts and important applications. With these fundamentals as a rock-solid base, we go on to build an unshakable framework of knowledge, fleshing out and reinforcing concepts through the use of guided practice questions that have been specially selected to illustrate and crystallise key ideas. We’ll also be working with a wide variety of exam-level questions that show the myriad ways in which you could be tested, and we’ll teach you the techniques and strategies that allow you to demonstrate your understanding with the most complete, efficient and elegant solution. Delving even deeper, we explore the theoretical underpinnings that hold the topic together. Through seeing these inner workings, you’ll gain an appreciation of the real-world applications, which in turn helps everything click firmly into place. Introduce piece-wise functions, idea of periodicity in functions and different perspectives to further analyze function concepts while prompting students to utilize their new-found knowledge to expound on the related concepts as independently as possible. Exactly what you’re supposed to have in your brain before entering an examination. What if you could make big ideas fit neatly into a small package? And what if it were possible to condense a vast sea of information, and distil that into its constituent elements? We’ve found a way to take the entire H2 Math syllabus and break it down into something that’s easier to work with. 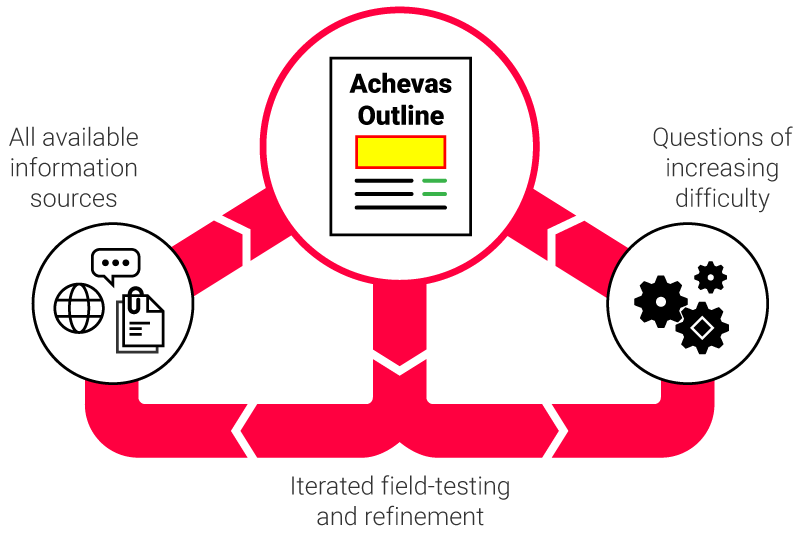 Developed through years of experience and rigorous field-testing, the incredibly concise, yet perfectly comprehensive Achevas Outlines are designed to meet your needs at each stage of learning. They give you a strong start to any topic by providing a detailed, top-down overview and identifying all learning outcomes. This way, you’ll always go in with a plan and a crystal-clear idea of the objectives to be met. Next, they make the learning process even better by presenting every topic as a logical and intuitive flow of concepts, so you can achieve a complete understanding by working systematically through each section. Important formulae, illustrative examples, key notes and logical connections are all assigned distinct colour codes, forming a shared modality that brings instant clarity and quick recall. Their comprehensiveness makes Achevas Outlines highly functional reference guides, so keep them handy when doing tutorial questions. Best of all, with every topic powerfully condensed into 1 - 2 pages, exam revision becomes extraordinarily efficient. Hard copies of Achevas Outlines can now be purchased from the Achevas Store. We’re committed to providing you with the most seamless and complete learning experience possible. The fact is, learning doesn't stop after class ends, so we challenged ourselves to find a way to extend our top-quality academic support beyond the physical confines of a classroom, as well as the time constraints of a weekly lesson. The latest addition to our range of educational services, Achevas MasterClass is a lecture series complimentary for In-House students. Designed to augment your learning process and fast-track you to a whole new level of understanding, Achevas MasterClass zeroes in on the more challenging aspects of H2 Math. Learn tips and tricks that swiftly cut the most difficult topics down to size, and find out how to solve the various problems you’ll encounter with the greatest speed and accuracy. Achevas TVis a free online H2 Math platform that we designed to be the perfect complement to our tuition classes. Over 2,000 HD video lectures and worked solutions come together to provide an in-depth, comprehensive coverage of the entire H2 Maths syllabus. Each topic is presented as a logical flow of ideas, modelled after our in-house lessons, and organized into color-coded sections for improved clarity and enhanced visual memory. Best of all, clicking each section individually will pull up its corresponding explanatory video, shot classroom-style for an added sense of familiarity and ease of mental association. Achevas TV’s mirrored system actively reinforces every one of our classroom lessons and makes it intuitively easy to jump straight to the specific areas you want to work on. 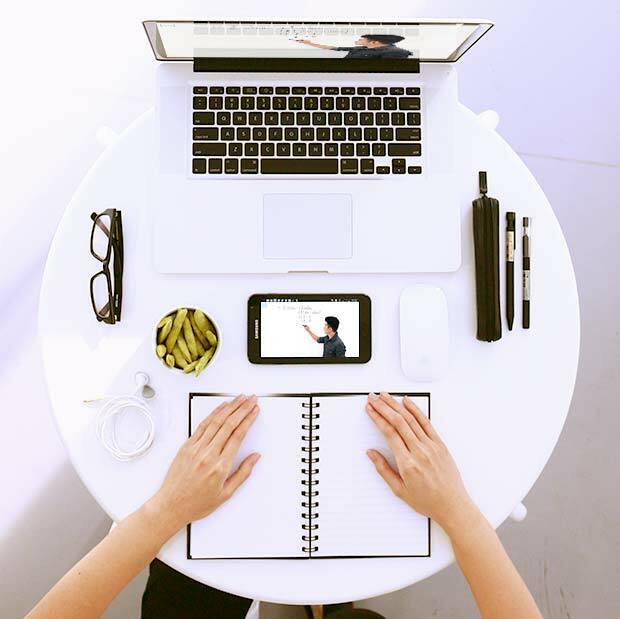 With free 24/7 online access, you can revise and recap anytime, anywhere. Achevas’ objective is for you to have the entire syllabus at your fingertips, an extensive skillset at your disposal, and full confidence that you can realize your greatest potential.